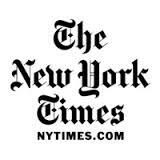 As the hardtracking staff previously noted, the New York Times has been preparing to jump into the native advertising pool along with the rest of the sink-or-swim set. According to Advertising Age, the recently installed Times executive VP of advertising, Meredith Kopit Levien, gave a speech last month in which she laid out the future of the paper as a marketing platform. “Native is a table stakes for every marketer and every publisher,” she told an audience at Sharethrough‘s Native Advertising Summit in Chicago. Banner ads, she added, are a “huge and important business” at the Times, but they will become more automated and standardized over time. Many publishers hope native ads will help counter the downward pressure on ad rates that’s created by those trends. Yesterday the Times Public Editor, Margaret Sullivan, weighed in on her blog and on Twitter. The idea behind native advertising, according to some practitioners, at least, is to appeal to readers (or “users” of digital media) by making advertising look and seem as much like editorial content as possible. That’s the $20 million question, as Sullivan puts it. Can The Times really do both? Can it be conservative in its approach – heavy on the labeling and disclaimers, careful never to confuse – and still draw advertisers? Or will that very clarity defeat the purpose of a form that has bafflement at its very heart? “Good native advertising is not about intentional trickery,” Mr. Thompson said. Actually, it is. Not to get technical about it.